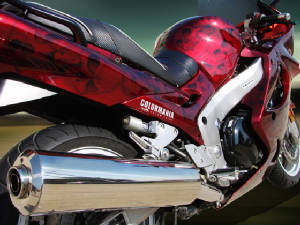 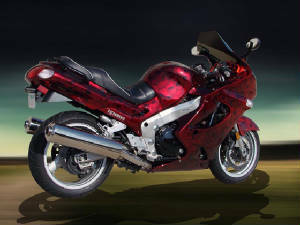 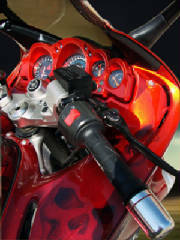 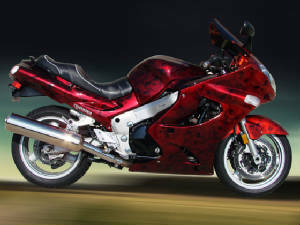 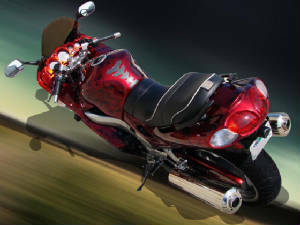 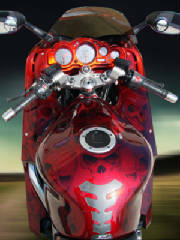 Features a dramatic Candy Apple paint job with hand airbrushed skulls all over the bike. 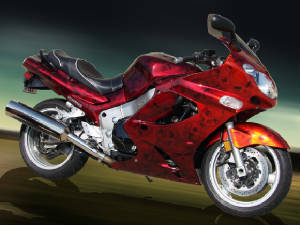 This paint job is done in 0.08 mm highly brilliant and sparkling metal flakes. 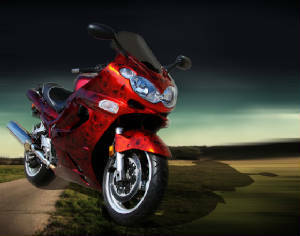 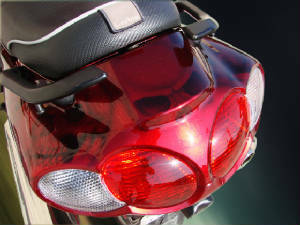 Front of the bike is painted in Candy Burnt Orange which fades to Candy Apple Burgundy, giving the bike a speedy and glowing effect. 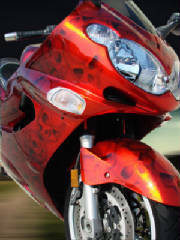 If you want a paint job that demands attention and stands out in any crowd; this is it. 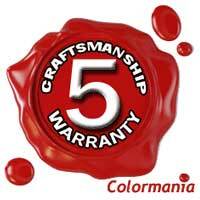 Paint job comes with a written 5 year warranty to protect your investment. 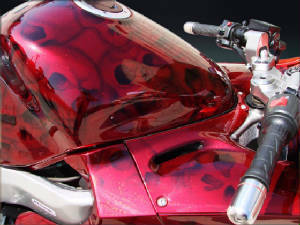 Painted in flexible finish, this paint job will bounce off most small stones instead of chipping.